We’ve asked James Elliott; Senior Recruitment Consultant at CDM Recruitment to answer a variety of questions so we can find out more about his interests, hobbies and what he gets up to inside and outside of the office. 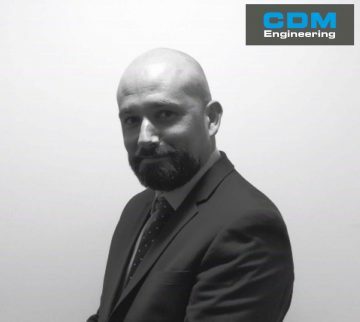 James Elliott; Senior Recruitment Consultant at CDM Recruitment. How long have you worked for CDM Recruitment? I would typically spend the first hour looking at email responses and dealing with anything urgent that has occurred overnight, subsequently spending the remainder of the morning resourcing latest roles using Broadbean. The afternoon would be spent looking at sales and new business development. I enjoy the office banter and certainly the team atmosphere. Tell us about your proudest moment so far at CDM Recruitment? Definitely bringing on new business, not just for myself, but also other colleagues in HR, finance and admin for instance. Tell us about an embarrassing or funny moment during your time at CDM Recruitment? How would you describe working here to anyone who is considering a career with CDM Recruitment? There’s a very supportive team atmosphere and above all, everyone from Directors to peers, want you to be successful. My Interests are swimming rivers and climbing mountains in addition to hunting for treasure. The last album i bought was Pink Floyd, Dark side of the moon. I’ve met Tony Blair but not deliberately. My perfect weekend would be climbing and camping high in the mountains.